Find a pattern by shift and by candlestick bar interval. Find the latest occurrence of the pattern. Plot patterns on chart - both single and multiple. 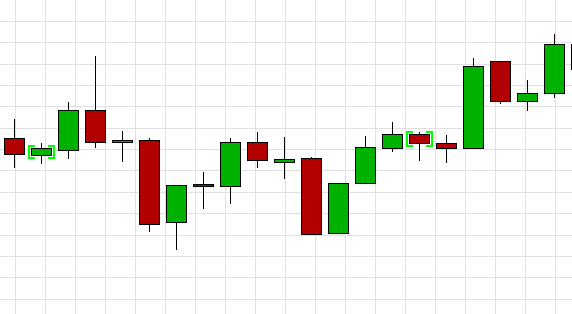 Use designated set of candlestick patterns in the same strategy. 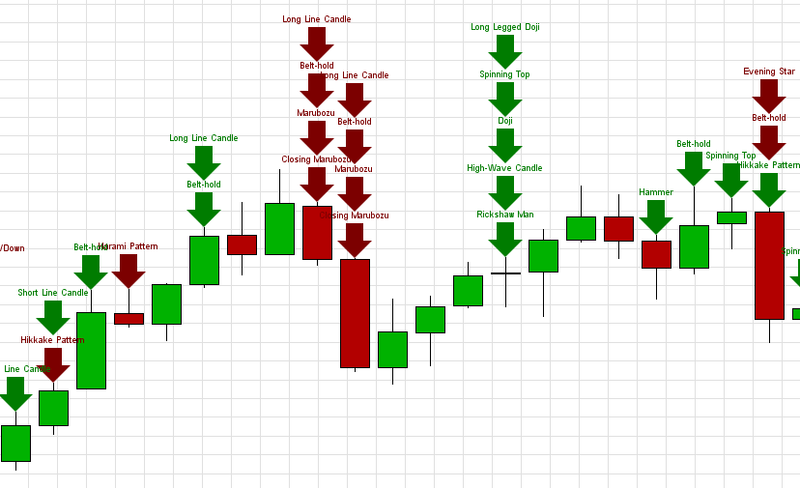 Use all 61 candlestick patterns in the same strategy. On its start (i.e. in the onStart method) it finds hammer pattern occurrences over the last 100 candlesticks and prints to console the latest occurrence by shift. On every candlestick (i.e. in the onBar method) it checks if it is of hammer pattern. Note: the example strategy is applicable to all other candlestick pattern indicators, just by changing the indicator name. Please mind checking for optional input count (see the CandlePatternsMultiple strategy). 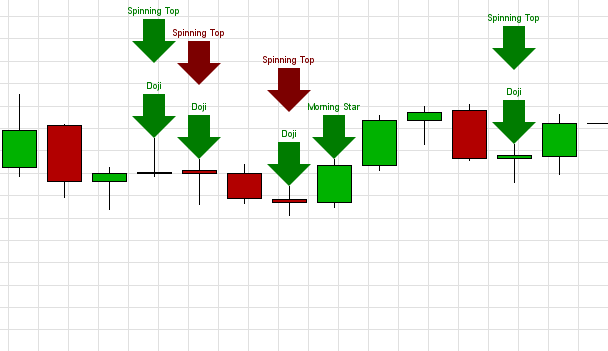 It calculates the following 6 candlestick patterns: hammer, morning star, doji, spinning top, shooting star, hanging man. It plots values by using signal arrow chart objects, instead of using standard plotting routine. The reason of the latter change is to prevent the patterns from overlapping on the chart - such that one can see that multiple patterns apply to the same candlestick. CandlePatternsAll strategy calculates all candlestick pattern indicators that are available in the platform. Essentially, the strategy differs from the CandlePatternsMultiple strategy only by calculated indicator count and by the way the list of indicators gets compiled.